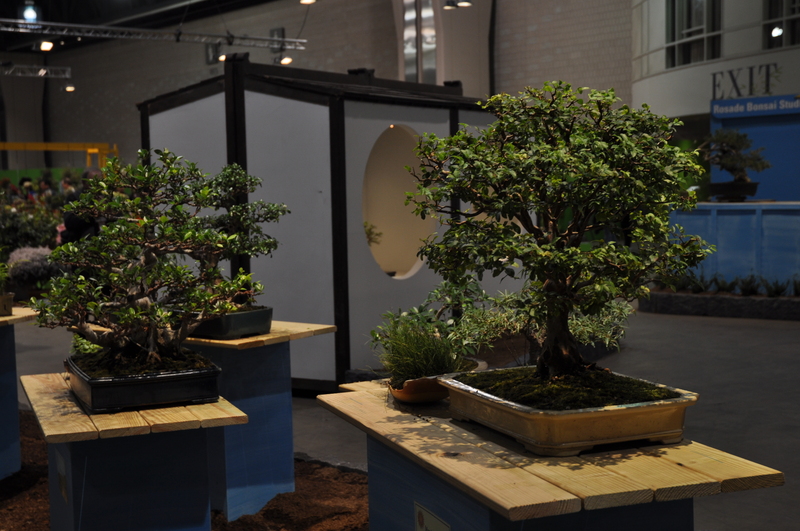 The folks at Rosade Bonsai Studio and the Pennsylvania Bonsai Studio are here at the Flower Show, displaying their strikingly beautiful bonsai trees, some of which have been trained for decades. Chase from the Rosade studio told us that lots of people come to them with bonsai-related questions. And, on occasion, a bonsai enthusiast will seek counsel on how to care for a struggling specimen. 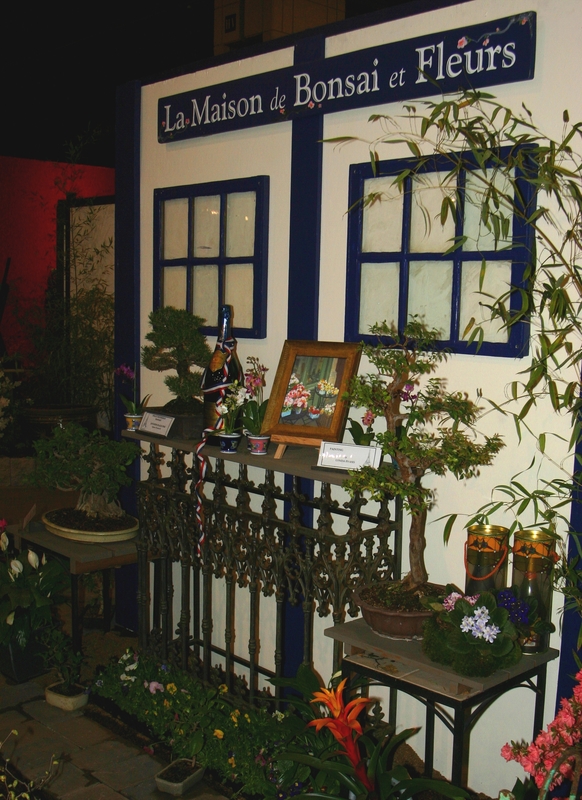 Additionally, although many of the mini-trees displayed at the Show are exotic varieties from the East, there are certain bonsai trees that are suited for the Mid-Atlantic climate. So look out for Chase and the other friendly bonsai folks when you visit the Flower Show, now in its final days. 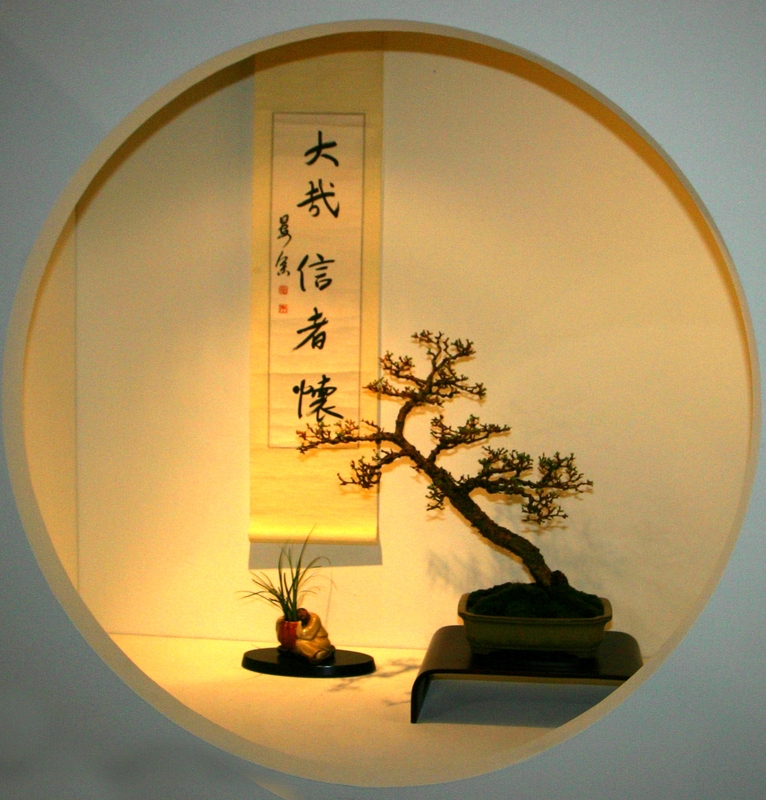 The living art of bonsai gives enormous pleasure and a feeling of closeness to nature in this exhibit from the famed Rosade Bonsai Studio in New Hope, PA. In addition to the bonsai trees and gardens from many different parts of the world, students will display their own grown and styled trees. The Pennsylvania Bonsai Society displays trees submitted by its members. The display has a large variety of specimens, some seen before and some that will be new to most viewers. There are also many styles of design that will surprise and delight.